If you have any additional questions about our office; our FAQ’s page of this web site is full of information. Should you need further information or would like to schedule an appointment; we suggest contacting us directly by phone. For minor emergencies our EMERGENCY page of this web site is full of helpful information. For a dental emergency after hours, please call us and leave a detailed message of the emergency for the doctor on call. The doctor on call will contact you as soon as possible. For severe trauma resulting in a concussion, lacerations or possible broken bones of the face please go directly to the emergency room. The emergency room physician can call our office and leave a message for us to consult with them should the injury require future dental treatment. We have schools, mothers groups, families and individuals visit our office. We offer a fun, educational experience and can cater tours for your specific needs and interests. 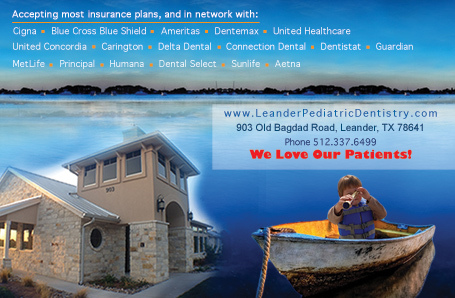 Our goal is to show you how our staff and our environment are specifically designed to put both parents and children at ease during their dental experience. We know that once you have visited our office and met our staff, you will feel confident in our ability to provide your child with the best possible care.